Voltti was a like box of chocolate, always full of surprices 🙂 Voltti was a sweet personality and loved to snuggle into your lap. Voltti was Mia’s agility and rescuedog, Voltti was also a natural ”noseworker” and he loved his search work. 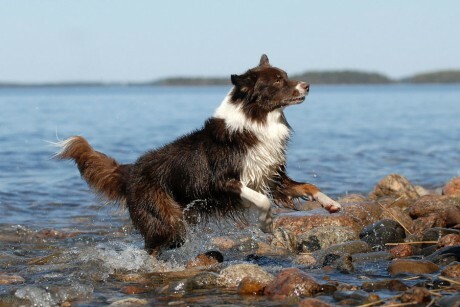 Voltti trialed in agility and search.